I’ve been laying pretty low this summer, but I’ve got lots of plans for the week and so much on my to do list! It seems like fall is my time to come out of hiding. I’ll be at the Downtown Knit Collective’s meeting this Wednesday, September 18, for the Twist Collective fashion show! The 5th anniversary issue garments will be there and it’ll be hosted by the awesome Fiona Ellis, so you know it’ll be a good time. I was trying to sort through my stash, which resulted in a LOT of yarn all over the living room and not much “sorting”. But I did dig up these crochet squares (edited to add: they’re Wool Eater/Bavarian crochet) that I’d like to get back to. I’m doing a final round in a silvery-grey sock yarn before attaching them together. 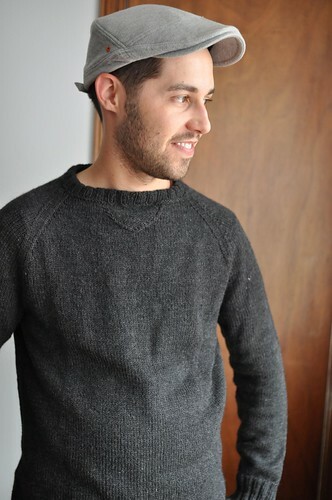 Last sweater for my fall mini collection is off the needles, now – Lorna’s Laces Haymarket. 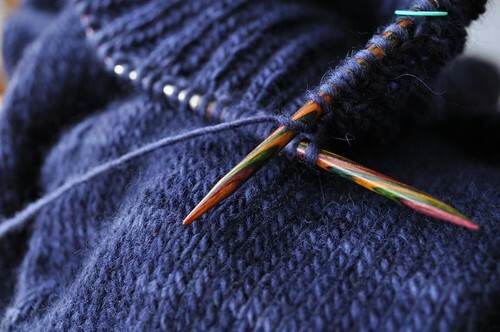 Finally, how about a finished sweater that isn’t for me?! Dale’s sweater has finally been worn thanks to the falling temperatures, and I snapped a couple photos. 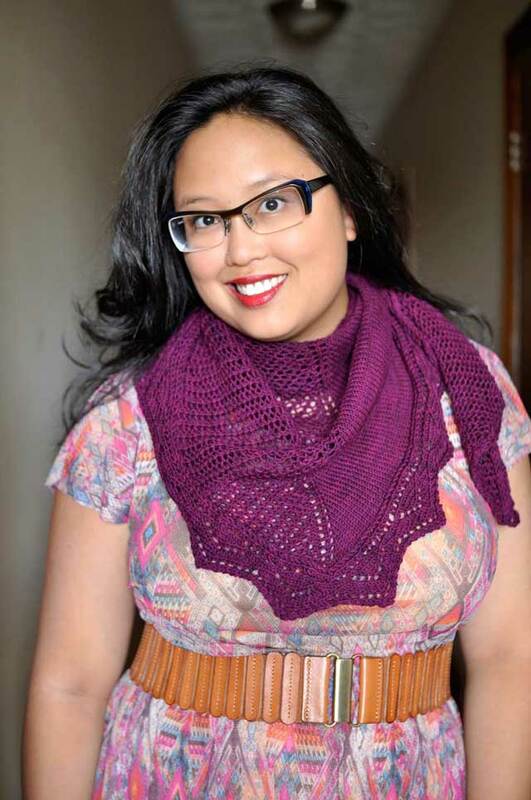 It’s Quince & Co Chickadee, which is a dream to knit with! I must order more. 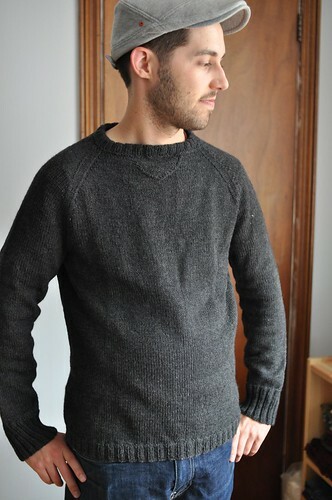 The sweater is just a really plain bottom-up raglan with a bit of a neck detail. The ribbed neckband is folded over and sewn down inside for a nice round finish to the collar. The neck could be a bit lower in the front, but eh, I’ve moved on. And he loves it, of course! Now I just need one for me. 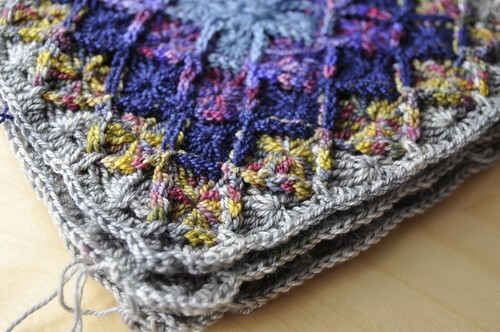 What gorgeous crochet square is that? I haven’t crocheted in years, but that square is like to change my mind. 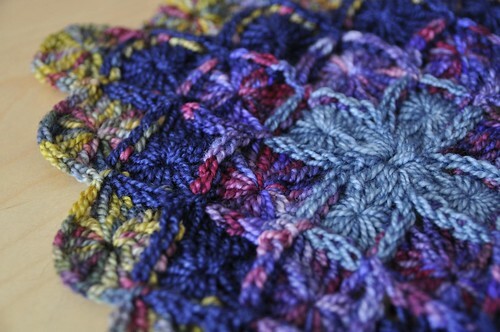 I love those crochet squares! And that’s a very nice sweater. Very now with the sweatshirt styling.